Air BnB – Would we do it again? On our recent trip to Ireland we decided to stop off in County Wicklow (Republic of Ireland) for a night so we could do some sightseeing. 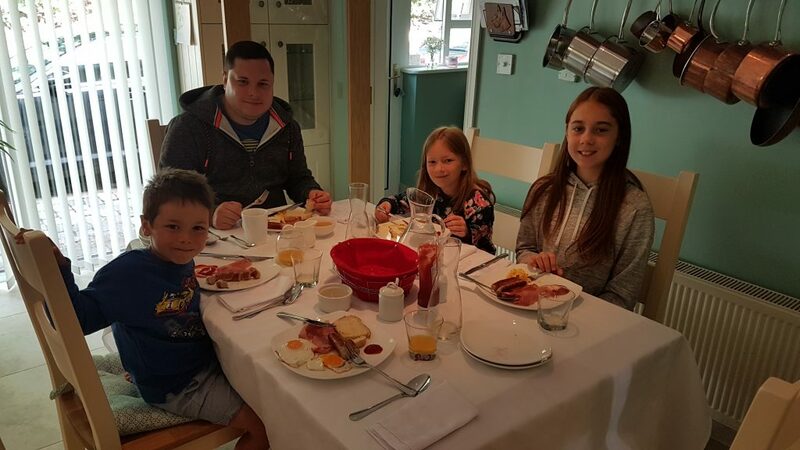 As a family of 5 we often find getting accommodation difficult. Most hotels are designed for 2 adults 2 children and cannot allow extra due to insurance issues. This always leaves us with very little options and those available are often expensive. This is where Air BnB comes in. We decided to see if there was anywhere on Air BnB that could accommodate us instead. As these are often in peoples homes there is more flexibility if you ask politely. Luckily for us we were able to find a lovely bungalow in the perfect location for our sightseeing. I contacted the host to ask if they would mind us having an extra child and they happily agreed, as long as the kids shared the double bed. They usually all end up sleeping together in a single bed at home through their own choice so we knew this wouldn’t be a problem. Communication with the hosts was fab and when we arrived they couldn’t have been more friendly. We had homemade cake and drinks on arrival as well as a tour of the house. 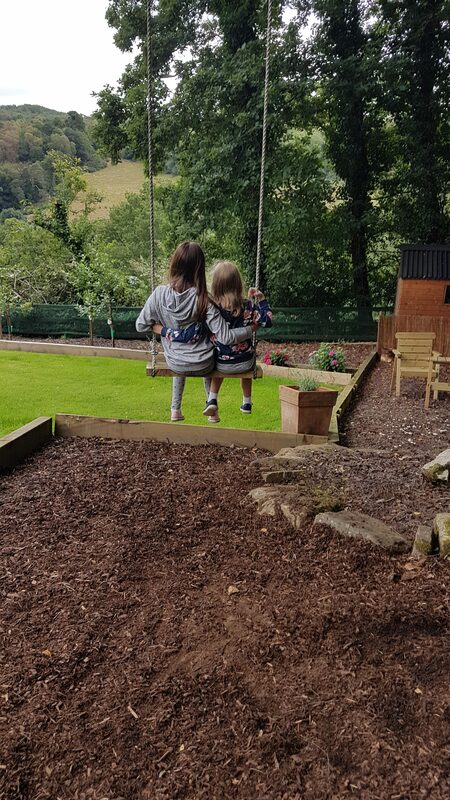 The kids went straight outside to the tree swing which remains one of the highlights of our entire holiday. Our rooms were spacious, clean and comfy. Plus we had the added bonus of an en-suite bathroom. Our hosts helped us with recommendations for where to get dinner and after we opted for the local chip shop they laid the table outside on the terrace for us to relax and eat. They honestly were the most lovely people and made us feel right at home. In the morning we had a cooked breakfast served in their beautiful kitchen. The home made bread was delicious! When booking your Air BnB the website has loads of information including all the accommodation amenities, a good long description of it from the hosts, nearby places to visit/eat, how to get there, any house rules (such as no dogs, etc), accessibility and so on. There are also reviews from previous visitors which I found really helpful. Payment is made securely through the Air BnB website, as is any communication between you and the hosts. What a lovely overnight stay. We’ve not used air bnb yet but I would. It sounds like you had lovely time there. I used Air BnB for the first time 2 years ago and was really happy with our experience. It was a flat in Glasgow and was much better than staying in a hotel. I know from a friend’s experience hers wasn’t so good. It was accommodation where the host was living and she found him creepy. I don’t think I would stay if it was shared accommodation.